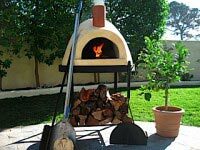 The World’s Leader in Wood Fired Pizza Ovens, DIY Plans & Accessories. 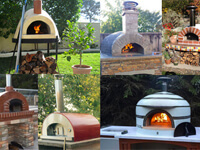 US manufacturer of pizza ovens and fireplaces for home, indoor & outdoor kitchens, bakeries, restaurants and more. 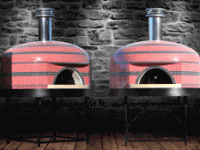 Forno Bravo produces the world’s finest modular and assembled pizza ovens. 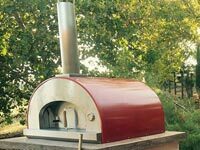 Our mission has always been to provide beautiful and well-made wood and gas fired brick ovens to homes, outdoor kitchens, restaurants, and mobile businesses around the world. 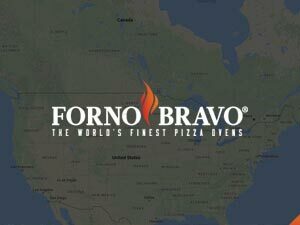 Since 2003, we have been doing just that. 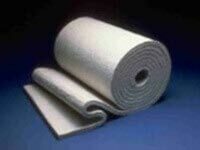 And 1,000’s of satisfied customers later, we’re just getting started! 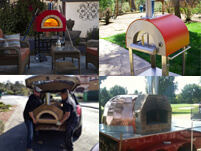 Shipped straight from our California and Colorado factories to your home or business– now you can cook anything that your heart desires, be it pizza, bread, or roasts, all with an authentic wood fired oven taste. “I’ve had my Casa oven for 3 years. 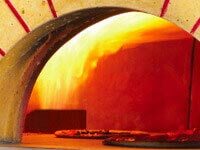 I couldn’t be any happier. 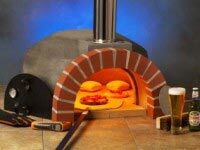 We have had many happy hours with a ton of friends, and everybody had a blast, and wants an invite for the next one. 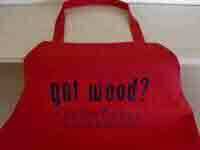 If you’re on the fence on buying one or not, let me knock you off the fence,and order it now!!!! 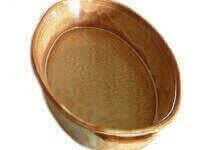 You WILL NOT REGRET it.” T Thomas, USAF Ret. 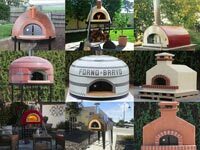 Forno Bravo Modular Pizza Oven Kits take the guesswork out of building your own brick oven. 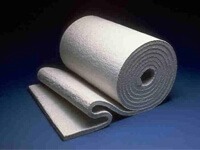 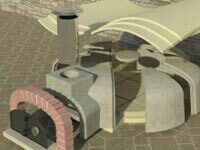 We provide everything you need (from domes and vents, to industrial-grade insulation and mortar.) 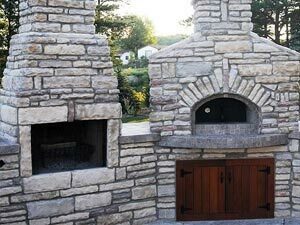 You provide the vision and labor to create a unique addition to your home or outdoor kitchen. 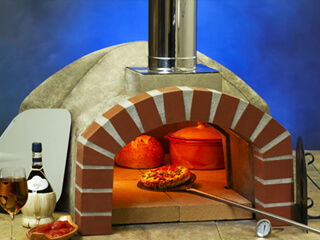 Small or large, portable or integrated, we have the right oven kit for you. 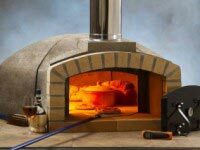 With the widest range of assembled wood and gas fired ovens available for the residential market, Forno Bravo knows ovens! 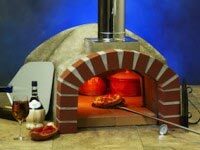 Our pizza ovens are fast heating, thermally stable, and extremely durable. 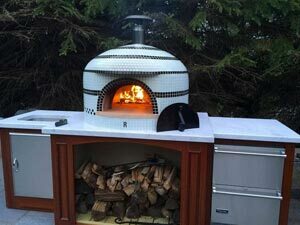 They come in a range of beautiful standard colors and finishes, including hand-tiled options, but can also be customized to match your space and style. 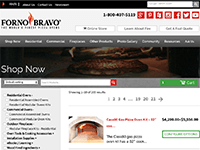 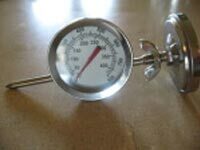 Forno Bravo’s commercial oven kits are professional-grade and built to last. 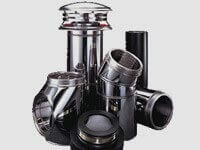 With a variety of sizes and fuel options, they can fit any requirement. 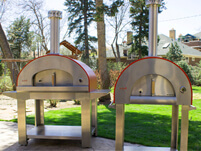 Infinitely custom, or in simple knockdown varieties, these pizza ovens perform at the top of their class. 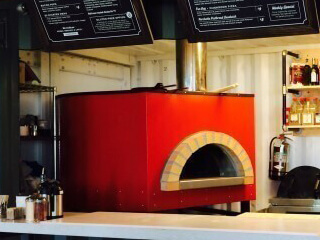 For restaurants with limited kitchen access, our kits can be hand-carried into place by 2 people and finished on site for the perfect look and performance to increase your sales and menu. 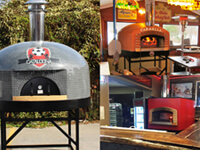 From small bistros and caterers, to high volume pizzerias, we have an oven for you! 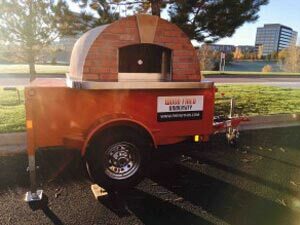 We offer models with sleek, steel enclosures, rustic Tuscan-style stucco, and hand-tiled show stoppers personalized and branded to be the focal point of your business. 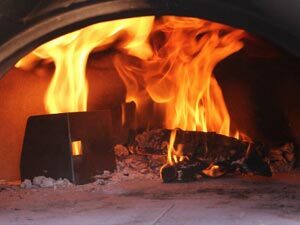 With their ultra-premium construction, performance, and fuel efficiency, Forno Bravo Commercial ovens are the artisan pizza oven you need to take your business to a whole new level! 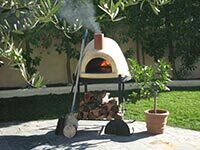 The Forno Bravo founder spent time in Italy learning pizza oven design from the masters, building several of his own in the process. 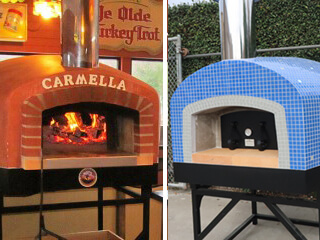 Since that time, we have continued to innovate and incorporate engineering, technology, and design improvements into our world-class ovens! 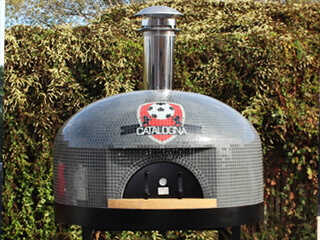 We control every step of the process in-house, from chemistry to craftsmanship, for great quality control. 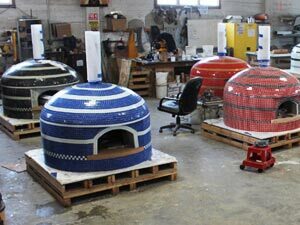 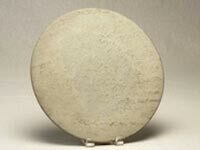 We’ve retained the perfect dome to floor ratios, while making our vibratory-cast refractory domes crack-resistant, thermally-stable, and consistently high performers. 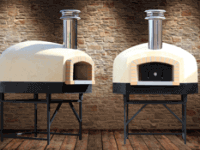 We use a generous amount of industrial-grade ceramic insulation above and below each oven, and efficient venting systems tailored to your installation. 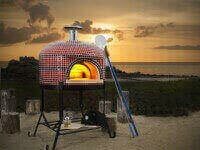 These ovens are truly state of the art. 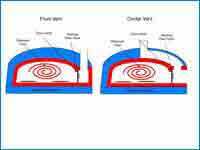 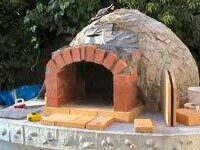 Our company started out creating the build-it-yourself Pompeii Brick Oven plans. 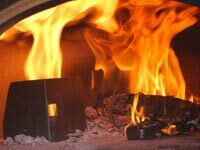 Today, we offer state-of-the-art pizza ovens using both wood and gas fuels, for homes, restaurants and mobile businesses. 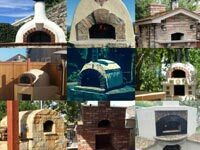 Our ovens stretch from basic to professional models; cast refractory, steel, and brick cores; modular kits and fully assembled to fully-custom ovens to meet any requirement. 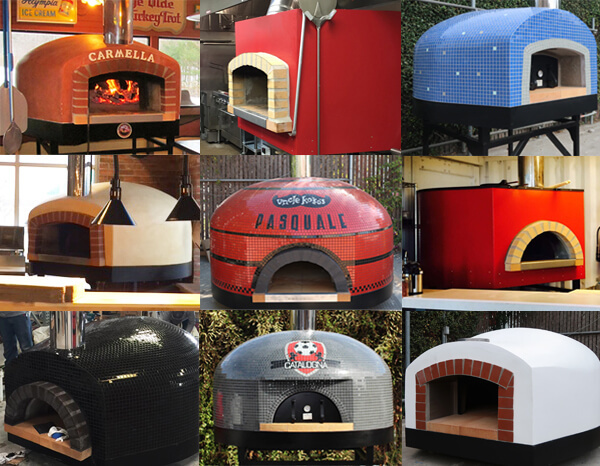 Our pizza ovens come standard in many styles, sizes, materials, and finishes. 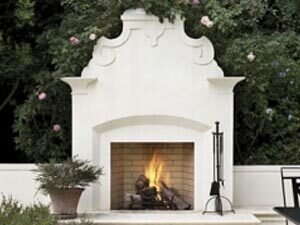 We offer versions for the hearth, counter, stand, or trailer. 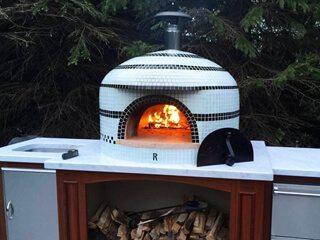 We value variety, but always match it with solid technology, quality, and craftsmanship. 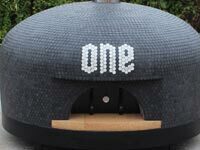 We also offer custom tile patterns, colors, logos, and exterior shapes. 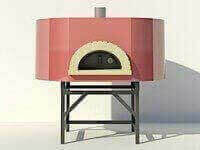 Our stuccos and metal enclosures also available in custom colors for the perfect look for your space. 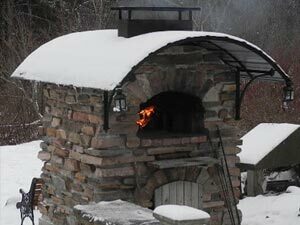 Our supportive community of owners and chefs span the globe– all with a passion for wood fired cooking! 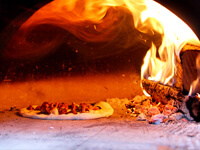 You can check out our Photo Galleries for new ideas, discover Pizza Quest, try a recipe from our Chef’s Panel and Community Cookbook, enjoy our informative Blogs and Newsletters, or visit with our Tech Support or the largest online Brick Oven Forum for advice. 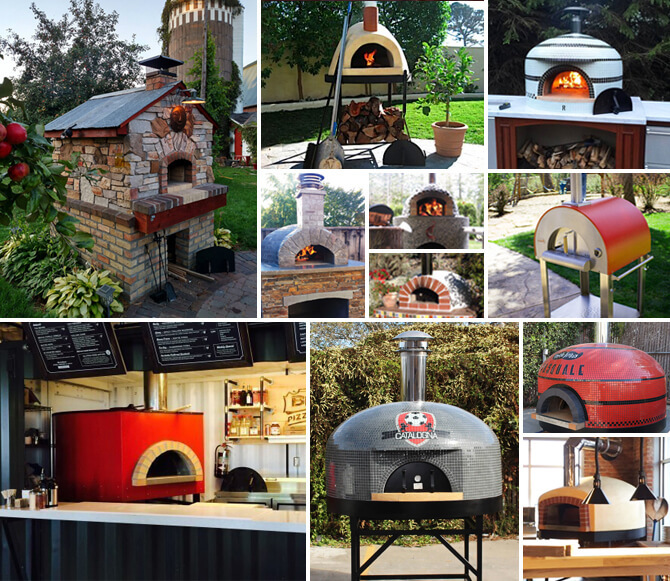 Visit our Inspiration Gallery to see some of the creative ways Community Members have included Forno Bravo Pizza Ovens into their homes, outdoor living spaces, and businesses. 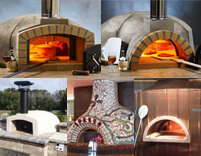 Find something you like? 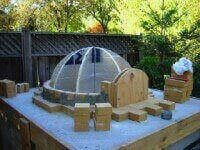 Have a new idea? 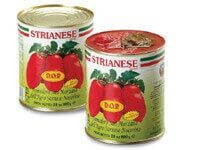 We love a challenge! 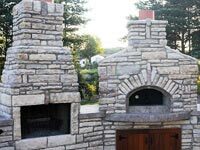 Let us build you a custom design that fits the unique style, logo, shape, or tile pattern of your dreams. 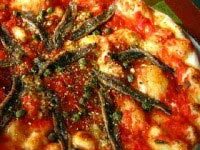 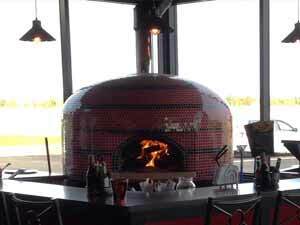 A Forno Fan Favorite. 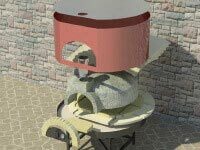 Compact, outdoor, wood fired refractory oven for countertop or stand. 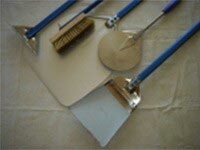 Most-popular kit! 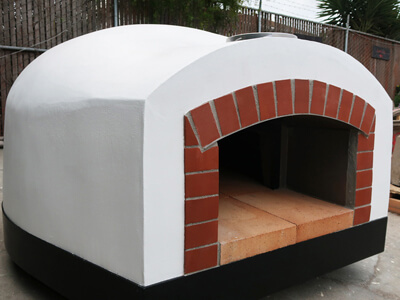 Mid to large size with 100% customizable exterior and a gas option. 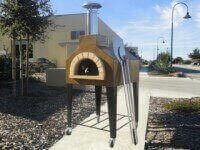 Portable, stainless steel, wood fired oven and rolling cart for flexible outdoor cooking. 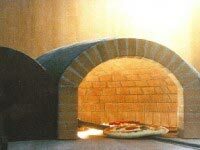 Beautiful and petite, a hand-tiled, wood fired oven with a center vent. 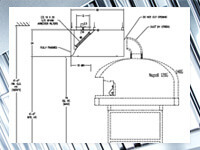 Built for efficiency. 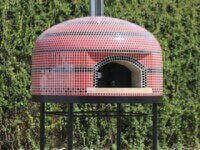 A hand-tiled centerpiece! 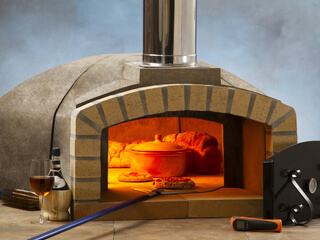 Robust baking and customizable look. 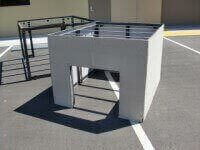 Center vent, metal tray, and stand. 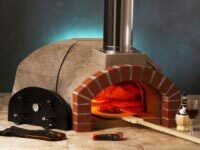 Compact oven kit for easy access and installation. 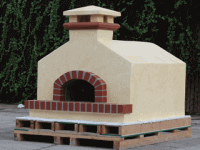 We provide the oven materials; you finish it on site. 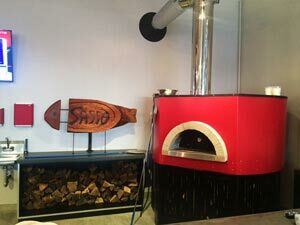 Small to mid-sized commercial oven. 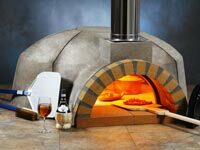 Perfect for bistros and vineyards! 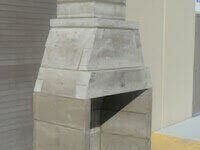 Glazed stucco or tiled exterior available. 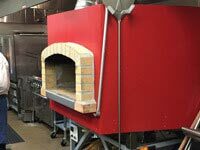 Our largest, high-volume commercial oven. 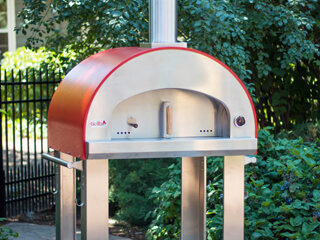 Sleek, red metal enclosure, brick arch, and front vent.